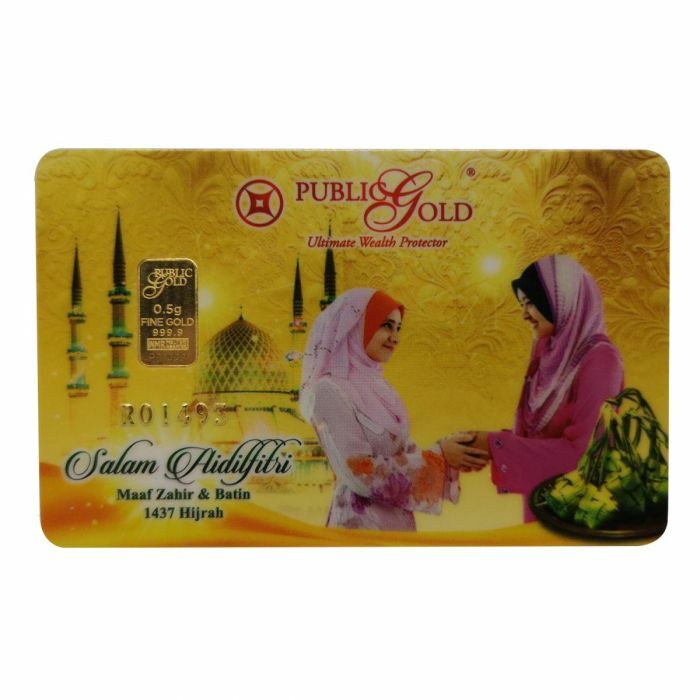 Celebrate the spirit of forgiveness by giving your loved ones the gift of wealth preservation, with this Salam Aidil Fitri 1g pure 999 gold bar. 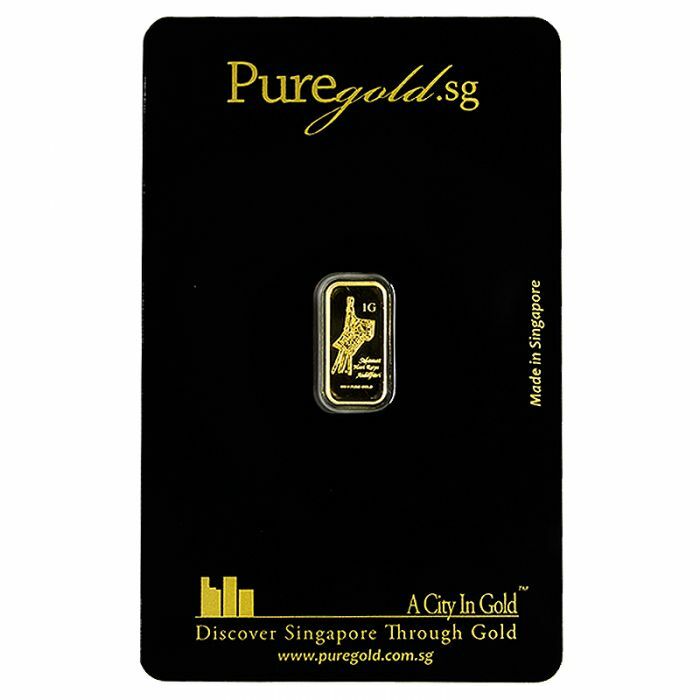 A 1g gold bar will also make for a very liquid asset for your investment portfolio. Design - The bar itself is minted in the shape of a Ketupat, which is further represented on the obverse side. The tech specs of the gold bar is stamped on the reverse side. Here's a duit raya idea for next year; why not replace those unreliable pieces of paper with REAL money? 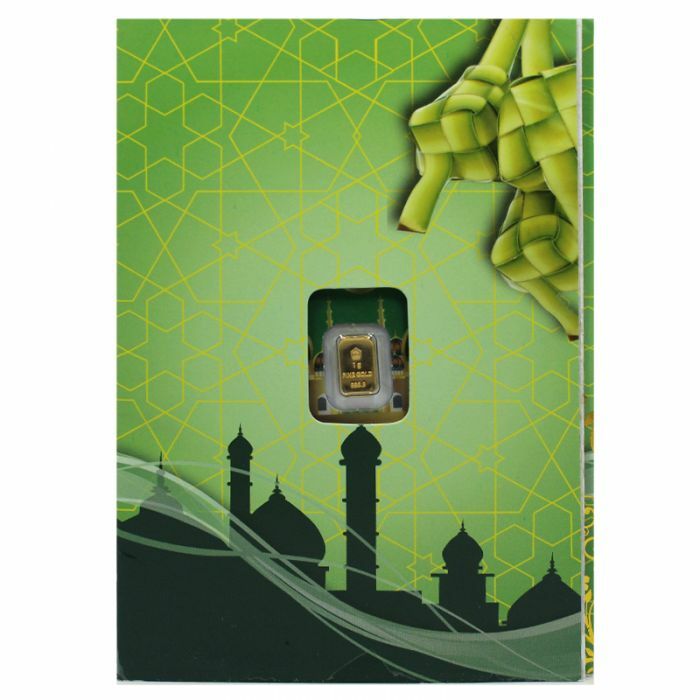 Presenting the Selamat Hari Raya Aidilfitri 1g 999.9 gold bar by Pure Gold. Not only will your loved ones be forced to not immediately spend it all at the nearest 'kedai runcit', it will teach them the true value of money and the importance to preserve one's wealth. 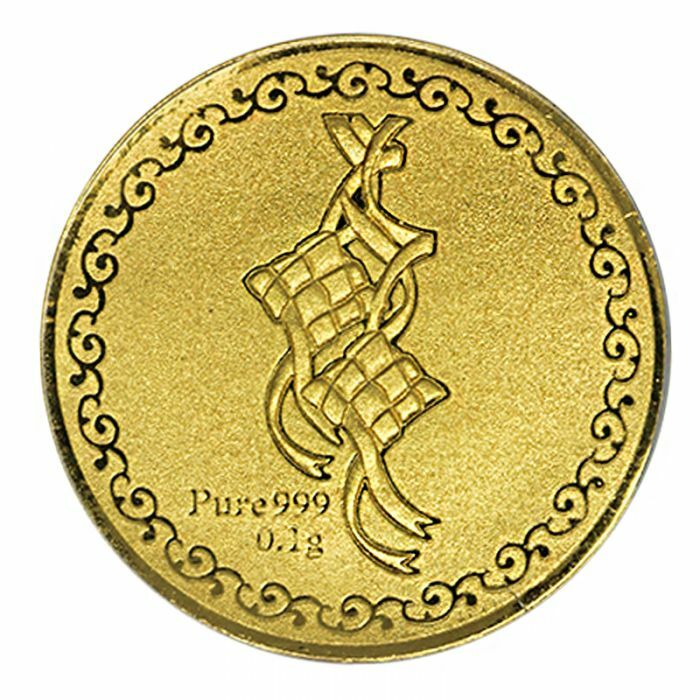 Imagine receiving a Duit Raya packet, to open it and find a stunning pure 999 gold coin in it, instead of stacks of paper. What a swell Raya that could've been eh? Well, now you can experience that with the Selamat Hari Raya Aidilfitri 0.1g gold coin. The pair of Ketupats beautifully etched on the obverse will make your budding collection feel like its Raya everyday! 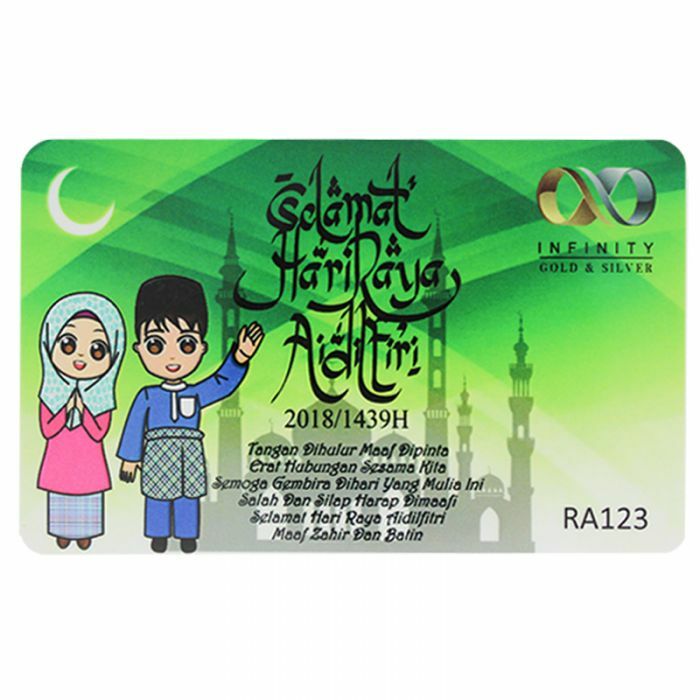 This version two is a complete greeting card set for Idul Fitri for any year while the set remains in a reasonable condition to be given as a token gift or greetings. The 1g gold bar sits in a sealed green certificate of authenticity. This card will be slotted into a purple and green Greeting card that could take a short note and a signature. This Greeting card that contains the gold bar in a sealed certificate card will then be placed into a white and purple envelope. The obverse face of the bar has a pentagonal logo of Logam Mulia and writing of “1g” & “FINE GOLD” & “999.9”. The reverse face of the bar has a pentagonal shape in the middle with the words “LOGAM MULIA” on it. The Obverse of the sealed card has a picture of a mosque on it while the reverse surface has an octagonal shape star in the middle of it. 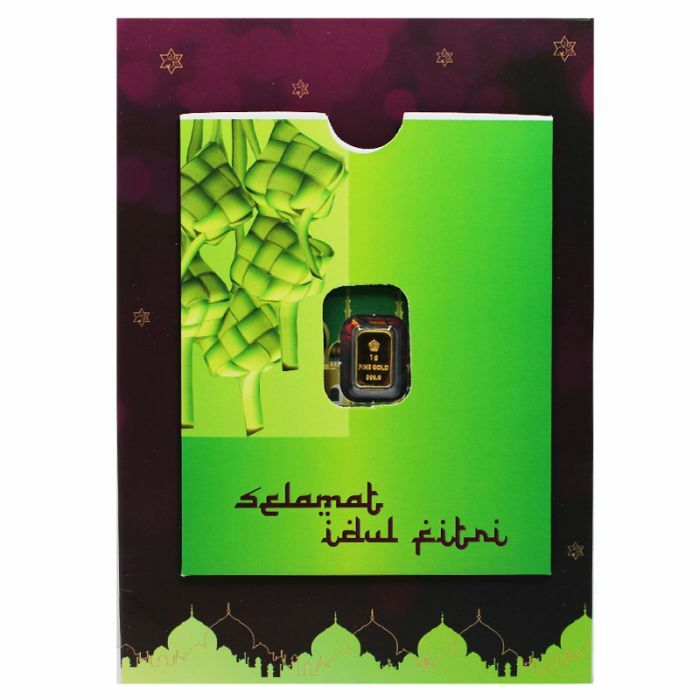 This version one is a complete greeting card set for Idul Fitri for any year while the set remains in a reasonable condition to be given as a token gift or greetings. The 1g gold bar sits in a sealed green certificate of authenticity. This card will be slotted into a green Greeting card that could take a short note and a signature. This Greeting card that contains the gold bar in a sealed certificate card will then be placed into a green envelope. The obverse face of the bar has a pentagonal logo of Logam Mulia and writing of “1g” & “FINE GOLD” & “999.9”. The reverse face of the bar has a pentagonal shape in the middle with the words “LOGAM MULIA” on it. The Obverse of the sealed card has a picture of a mosque on it while the reverse surface has an octagonal shape star in the middle of it. Now that your loved ones have safely returned from their Hajj, why not present them a gift to commemorate their pilgrimage with this 0.5g pure 999.9 gold heart-shaped pendant by Infinity Gold. Equally ideal as a cherished memento or as a store of wealth. Wouldn't it be nice if you opened a Duit Raya packet and find gold? Now you're loved ones can experience just that by gifting them this 0.5g pure 999.9 gold heart-shaped pendant by Infinity Gold. 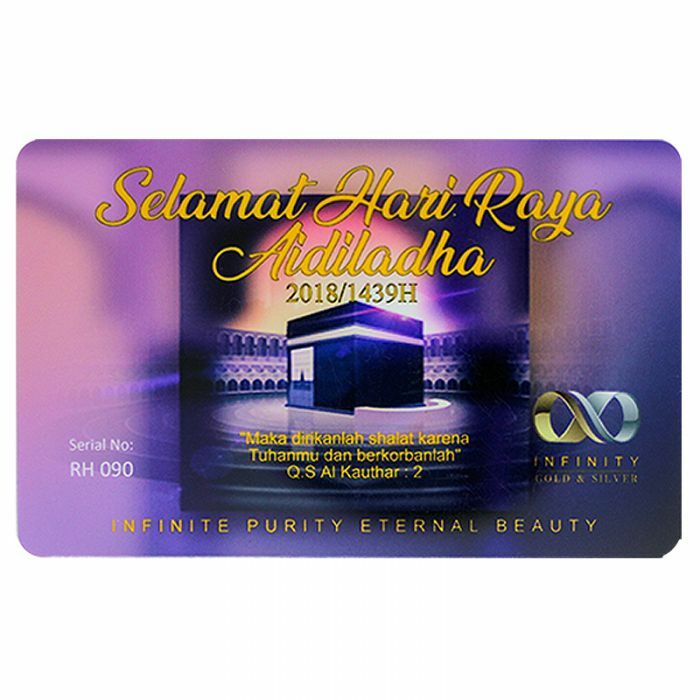 At least with this kind of Duit Raya, they'll learn the true value of real money and wealth preservation. Celebrate the season of forgiveness with this LBMA-certified 0.5g gold bar by Public Gold. 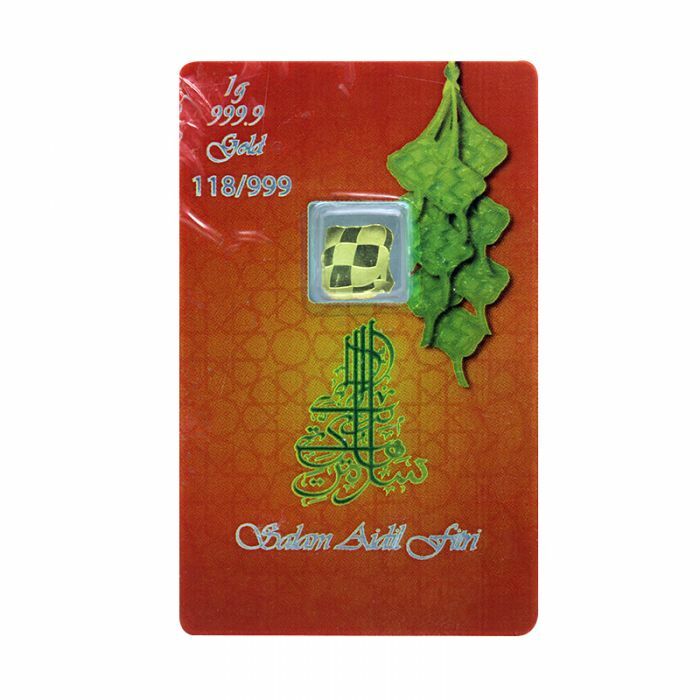 The gold bar comes included with its certification of authencity signed by a certified assayer and would be equally suitable as a thoughtful gift to your loved ones, to pay for one's Zakat or Mahr, or simply as an investment option. Design - The Public Gold logo adorns both the obverse and reverse sides of the bar. Its tech specs is also featured on the obverse side. 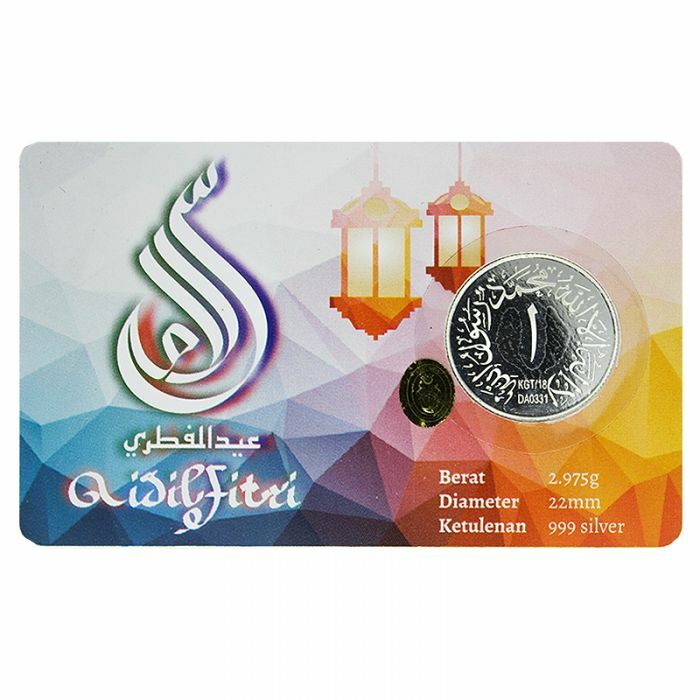 This KGT 1 Dirham 999.9 Silver Coin on a “DIRHAM RAYA 1439H” card makes the most suitable gift to celebrate Aidilfitri with the spirit of forgiving, giving and receiving while teaching the children and adults one of the methods of wealth preservation.